Vivo is all set to launch its new Nex series smartphones in India on July 19. The Chinese OEM has sent media invite that reads “Block Your Date.” The official teaser image shows a retractable camera with NEX brand and date below. 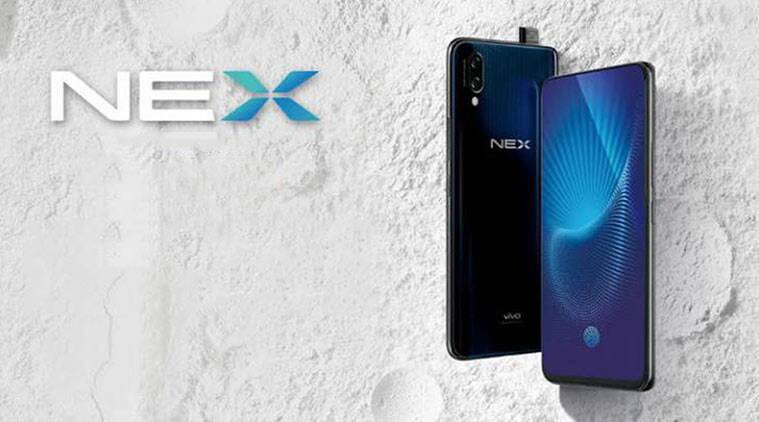 While Vivo has confirmed to bring its Nex brand in India, it is still unclear whether the company will unveil both Nex S and Nex A or just one model in the country. To recall, the all-new Vivo Nex series smartphones made their debut in China last month. The key highlight of Vivo Nex S and Nex A is the pop-up camera system. The camera system retracts using a spring-loaded motor. Both the devices feature a 6.59-inch full HD+ (2316 x 1080 pixel resolution) Super AMOLED ultra bezel-less display with 19.3:9 aspect ratio. The smartphones have a screen-to-body ratio of 91.24 percent. Vivo Nex S and Nex A offer dual camera setup on the rear side having a 12MP primary sensor and 5MP secondary sensor with four-axis OIS. Up front, it has an 8MP camera sensor for selfies. The smartphones run FunTouchOS 4.0 based Android 8.1 Oreo. The smartphones also use something called as “screen sound-casting technology” that ‘eliminates’ standard speaker. Processing hardware, however, differs on both the devices, with Vivo Nex S carrying Qualcomm’s high-end Snapdragon 845 SoC paired with 8GB of RAM. The phone offers two storage options- 128GB and 256GB. Meanwhile, the Vivo Nex A is powered by Qualcomm’s latest mobile platform, Snapdragon 710 paired with 6GB of RAM. It has a native storage of 128GB. Both the devices pack a massive 4000mAh battery. As far as pricing is concerned, Vivo Nex S is priced in China at CNY 4,498 (roughly Rs 47,000) for the 8GB RAM/128GB model. The 8GB RAM and 256GB storage version come for a price of CNY 4,998 (roughly Rs 52,000). On the other hand, Vivo Nex A has been priced CNY 3,898 (roughly Rs 40,400) for the 6GB RAM/128GB model. The smartphones come in two colour options- Black and Red.